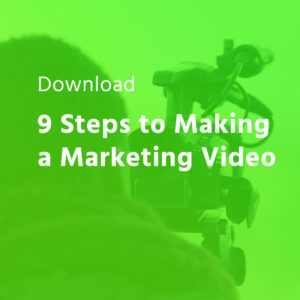 Have you ever thought about your video marketing strategy? If you have that’s great news, if you haven’t…well, it’s time to do it! 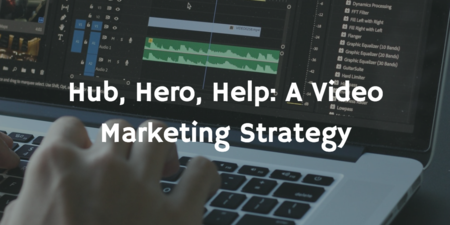 In this “Video Marketing Tips” episode we want to share with you one video content marketing strategy called: “Hub, Hero, Help”. Have you ever heard of it? In our last episode, we broke down why consistency is key to a successful video marketing plan. But many people keep asking “Ok, be consistent, I get it… but what should I be creating?” Well, the “Hub, Hero, Help” concept is a great answer to that question. We here at Your Local Studio definitely recommend this strategy of content creation, as does YouTube itself. Why? Because it works. Most successful YouTubers use it and understand its power. Hub content. This idea is about focusing on your community: your subscribers, clients, vendors, partners, or anyone that engages with you. You’re sharing an update, responding to questions, new ideas and thoughts. It’s a conversation meant to increase your connection with them on a personal level. This could be on livestream or recorded videos. A good frequency would be monthly or bi-monthly updates. The idea in this strategy is to get people coming back to your videos. Make them remember why they’re part of your community! The benefits are many but we can assure that it will help by connecting with your audience, building trust with viewers, generating awareness and making them coming back again and again. And ideally, of course, buying your products! Hero content. This type is designed to be highly engaging, very captivating, not salesly at all. Usually, it’s funny, entertaining, or stirs some sort of emotion. You want to invest a lot into this type of content. These videos are designed to be highly shareable and (ideally) have “viral” potential. What’s the best frequency to produce them? Well, once every quarter or once a year, depending on your budget. As for the benefits of the hero strategy, they’re more related to emotionally moving your audience, captivate them and, as we mentioned before, are very shareable. It’s meant to make a big splash in your industry and bring lots of attention to your brand. Help content. The benefits of the help type is that these videos are (or should be) easy to create, and what you produce is evergreen content (information that stays useful for a long period of time). It also should help your brand position itself as a trusted resource. The best frequency here would be weekly videos, as there is always plenty of questions you can be answering around your industry – and that’s why it should be really easy to do them! So what’s the order here? How do these 3 types of content work together? Let’s start by thinking of a sales funnel, where potential leads come from the top and they slowly get filtered down to the bottom where they become clients. Hero is where they first learn about you. It’s that first moment when they say: “Wow, who’s this video from?”. And then your leads look for more content about you and they find your Hub content, your knowledge, your human side, now they like you. Finally, the Help content is when they start to trust you and see you as an expert. And then, they buy! Now, to be frank, a potential lead could easily start by finding your help content, then your hero, then hub. Or another combination. The point is, all 3 types of content serve a different unique purpose. For me, I would say it’s easier to start with creating Hub content or Help content and then focus on the big production value of Hero. It’s smart to have other types of content your viewers can engage with before you invest heavily in Hero to bring the masses. 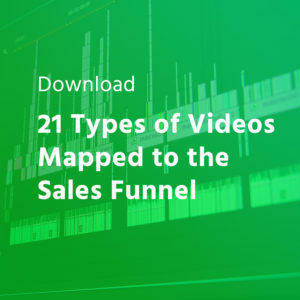 Have you used this video strategy? What combination and frequency do you approach it with? We would love to know how it’s working for other content creators! Don’t forget to follow us on YouTube, Twitter, and Facebook for more tips on how to improve your business videos.